While I’m in the process of converting my Angular 1.x directives into Angular2 components, the tri-state checkbox reared its head. This is a pretty common mechanism and is something I needed to have working before moving along to converting other components. Long, long ago, I blogged about Angular 1.x Request Interceptors and how they can be used to display a loading indicator. I really liked that mechanism. You could intercept any request whether you made it or it was made by the framework. 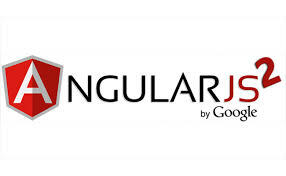 Fast-forward to today, and things are significantly different with Angular2. In my previous post detailing how to create a DialogService for Angular2, I provided a simple service to display a confirmation dialog. The idea that I had in mind when writing that was to incorporate it into Angular2’s Routing lifecycle with a Menu system. Ultimately, it would be used to determine dirty states and display a dialog to the user asking if they want to keep or discard their changes. An important aspect of any web application is displaying messages to users based on events. I like to use modals for this. Angular2’s Bootstrap components provide some basic functionality to facilitate the creation of Modal Dialogs. In one of my previous posts, I detailed using Table Value parameters. That method works great for my uses. However, I ran into one gotcha worth pointing out. It’s been a while, but I had some time today to work a bit more on my Angular2 multiselect implementation. The next aspect that I wanted to implement is validation. One deficiency with Entity Framework is the ability to load data from a stored procedure or a direct query when the column names don’t match your model property names exactly. In one of my previous posts, I detailed how the EF API can be used to retrieve column mappings. These column mappings can be used in conjunction with a SqlDataReader to map a query result, properly, to your EF model.